Welcome to the Edmund Cooper Visual Bibliography. Now the most comprehensive bibliography of Edmund Cooper's works available to the public today. The accuracy of every title specified in this bibliography has been verified through independent resources. Where first publication information is known, this information is given, where no extra information is given, actual publication is uncertain. 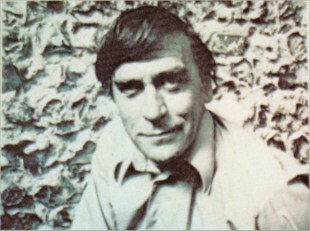 Edmund Cooper (1926-1982) was, in his time, one of the most published English Science Fiction authors, translated into over 15 different languages, and the originator of the rule of Science Fiction writing known as Cooper's Law. This visual bibliography is a summary of a descriptive bibliography being assembled by me providing an analysis of the volumes described as physical objects (design, printing make up and materials composition). Should anyone require a more in-depth analysis of a particular volume, please email me. Please do not ask me for copies of the literature contained in these works, the answer will be 'No'. The following price guide is a .pdf file generated from several shell scripts, while the Bibliography is a .pdf file of this site, condensed down for you to download and print for your own reference. The Site Map is an html page for those poor souls, using Internet Explorer, who are having stack overflow problems with the dhtml menu.